O'Neill targets further reinforcements at Stadium of Light | The Transfer Tavern | Where football transfer rumours fly or die! O’Neill has already recruited Alfred N’Diaye from Bursaspor who made his debut with a brief substitute appearance at the Stadium of Light on Saturday but given the long injury list he is having to contend with, the Northern Irish manager will be moving back into the transfer market in the next few days. He said: “We are trying our best, obviously, to try to bolster the squad, which will be very, very important if we can do. Saturday’s victory reopened the six point gap between the Wearsiders and the Premier League drop-zone but O’Neill will be concerned at the lack of squad depth. Next on the Black Cats and O’Neill’s radar is Al-Hilal defender Kader Mangane who was expected to arrive at club on loan today as he seeks to bolster his squad. 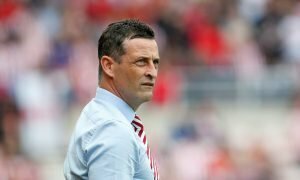 Who should Sunderland recruit during January? Vote in our polls below.